The Richard Huck Legion Spirit Award was created by the Evanston American legion Post 42 Board of Directors after the untimely passing of our Commander, Richard Huck. Cmdr. 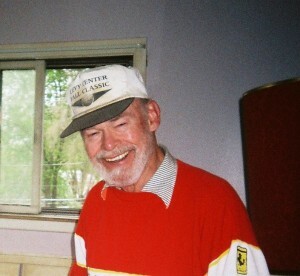 Huck was the only commander in the ninety-plus year history of Evanston American Legion Post 42 to have passed away while in office. 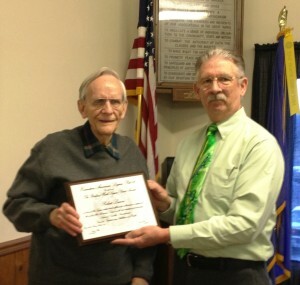 The board decided to create an award in his honor that best reflected his spirit, energy and dedication to the principles of the American Legion. The purpose of the award was to honor a post member, who in the course of the year, best demonstrated spirit, energy and devotion to the principles of the American Legion, especially Veterans Affairs & Rehabilitation, National Security, Americanism and Children and Youth. These “Four Pillars” describe the heart and philosophy of the American Legion in their dedication to Veterans and also service to the community, state and nation. 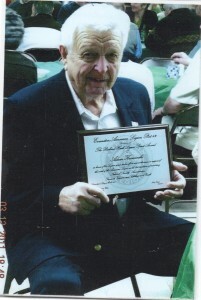 The ideal recipient of the Richard Huck Legion Spirit Award is not necessarily an officer or holder of office in the Post, but rather a post member who displayed the principles of the American Legion by active participation in Post programs and activities in manner that distinguished that Legionnaire above others. The recipient of the Richard Huck Legion Spirit Award is selected by the nomination of any Post 42 member. The nominations are sent to the Post 42 for consideration and a vote. Nominating period is from the beginning of the current Legion Year (July 1) through the following January Board meeting. The Board selects the recipient at that meeting. The award presentation is made in March at the annual corned beef dinner on or around St. Patrick’s Day. Post members are invited to nominate a Post 42 member who in their opinion who displayed the principles of the American Legion by the Nominee’s active participation in Post 42 programs and activities in manner that distinguished that Legionnaire above others.